The 25mm grip and knurled all the way round for extra grip. 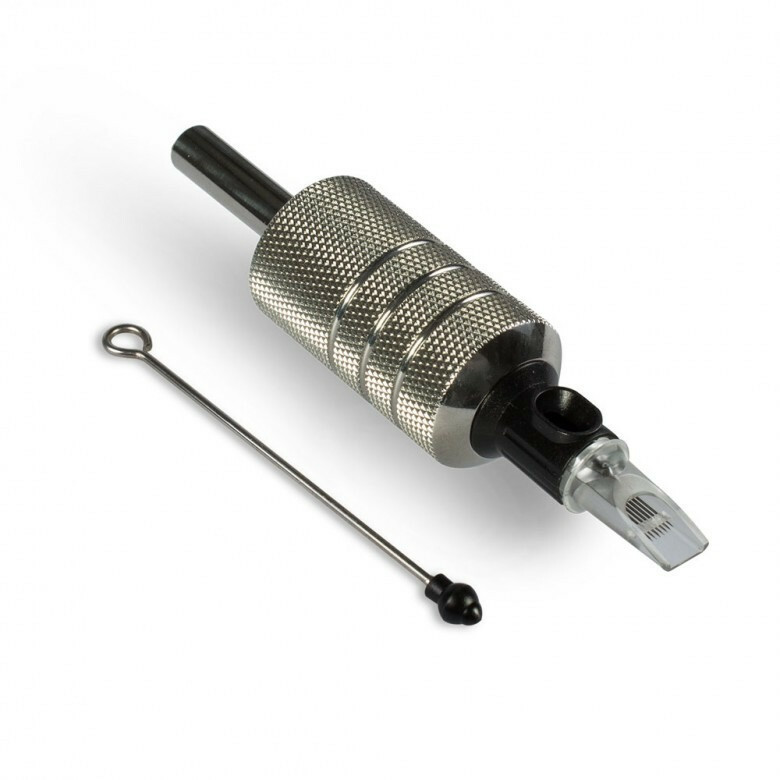 Perfect for tattoo artists wanting to use Cheyenne needle cartridges with standard coil or rotary machines. Comes with 80mm Needle Drive Bar.